Nearly 100 years after the first English edition of Seed-Grains of Prayer, this wonderful treasure is once again available through Emmanuel Press. Wilhelm Loehe, a confessional Lutheran pastor in 19th century Germany, offers these reverent, historical, brief prayers as “seeds of thought, suggestive of more than they directly express” (H.E. Jacobs, Introduction). 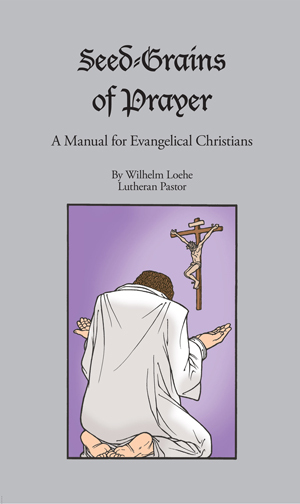 This English edition also includes prayers previously left untranslated, thereby completing the translation of prayers from Loehe’s original German edition. Click here to download a PDF excerpt.